International guests in Hanoi for either business or tourism will find even our standard rooms more than adequate for all their needs. 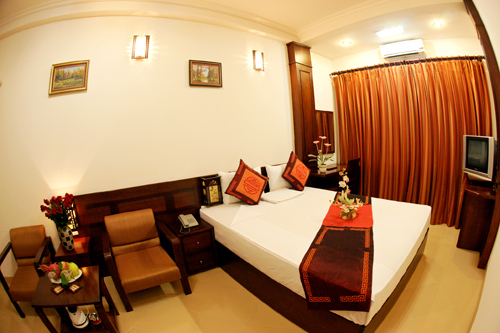 Moreover, the friendly staff will be sure to make you feel welcomed and appreciated in our small but high quality hotel in the Old Quarter.Standard rooms feature bathrooms with shower, air-conditioning, satellite/cable TV,direct dial telephone, refrigerators, minibar and other amenities. Han Noi Street Hotel 2019. All rights reserved.